Philosophy: Treat your child, not just the teeth. 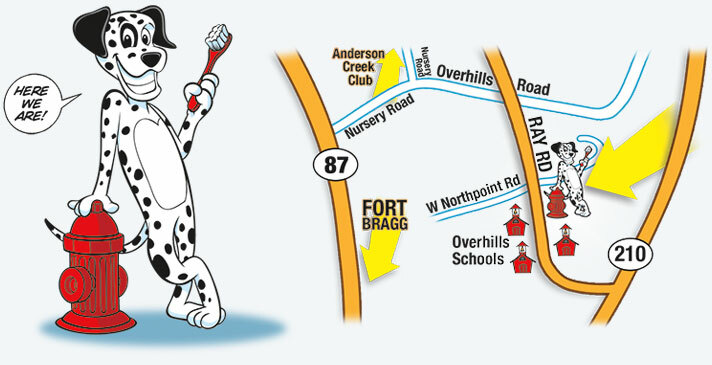 Located: In the Old Anderson Creek Firehouse by Overhills Schools, 8 min. NE from Fort Bragg. All children’s FIRST visit to the dentist should be within 6 months of the eruption of the first primary (baby) tooth or by ONE YEAR of AGE. All children are welcome! Call today for an appointment!